With luxury orange leather case, this high quality travel manicure set comes complete with essential German nail instruments, to create the best look of your hands, fingers and nails whilst on travels. Made in Germany from fine stainless steel, the tools are precisely ground to exact specifications, to ensure a clean and easy trim time after time. 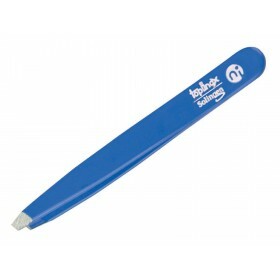 More importantly, the cutting edge will stay sharp for a long time without any troble of sharpening. 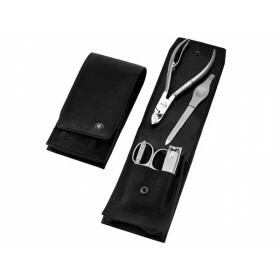 Included in the set are high quality nail clippers, manicure scissors, dual sided nail file and tweezers. 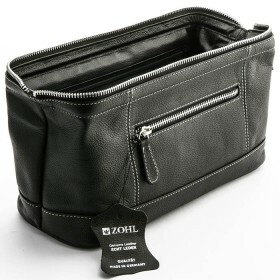 Great idea for gift giving on any occasion that will delight with exceptional German craftsmanship. Cleverly designed, the Sonnenschein Travel Manicure Set in bright orange leather case offers high quality nail instruments crafted in Germany for immaculate nail care. Packed with slightly curved pointed professional nail scissors and nail clippers, durable nail file and slanted tweezers, the zippered lightweight case is easy to tuck into your suitcase or duffel, keeping nails well presented on the go. Great gift idea for frequent travellers on Christmas, Birthday, Father's or Mother's Day.